While we were visiting Israel at the end of the summer last year we went on a short weekend getaway up north. 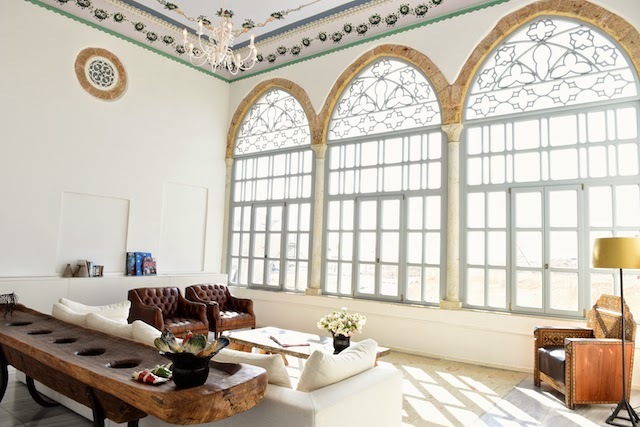 We stayed in Haifa. 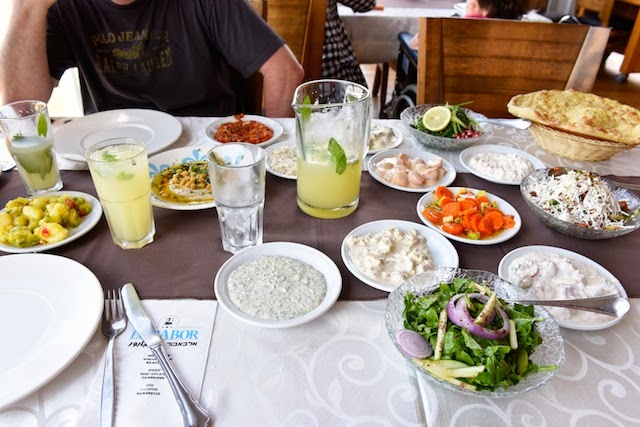 The culinary surprises came actually on day two, not in Haifa, but at El Babor and The Sea, an Arab restaurant, in Akko (Acre). 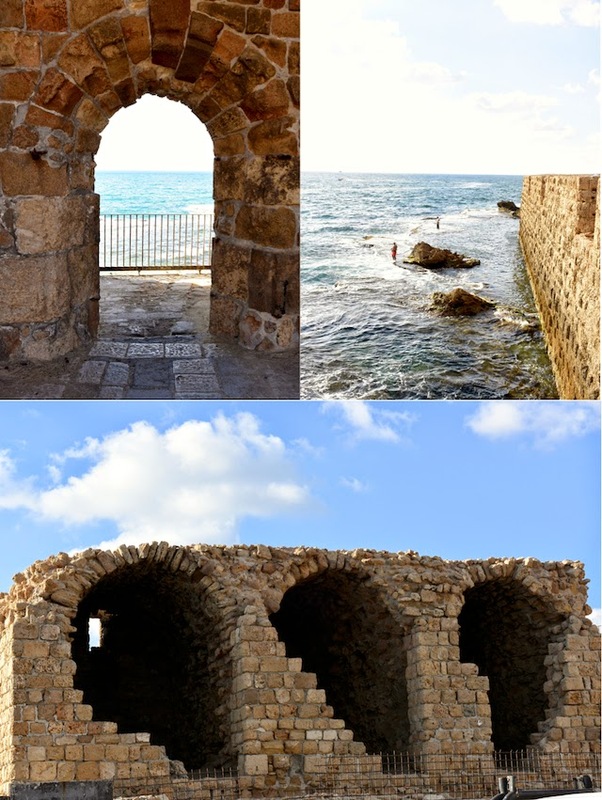 Akko is an Arab and Jewish town (small city) a short drive on the coast north of Haifa. El Babor and The Sea was recommended to us by no other than my friend Inbal owner of Delicious Israel (Surprise! Surprise! :). 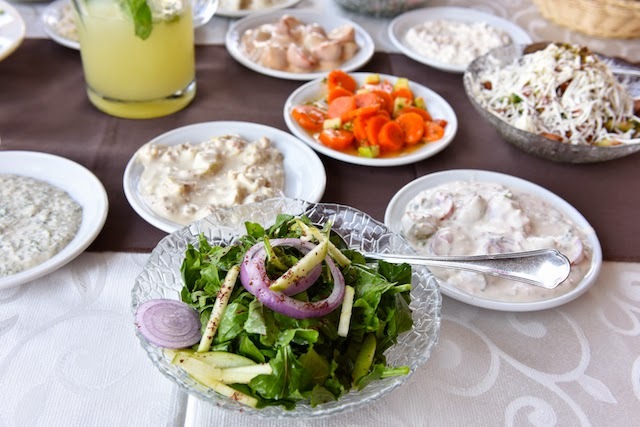 I must say while we got a good sense of the fresh ingredients, crisp, pure and super delicious salads/mezzes, the visit left me wishing to come back and explore the menu further. The lamb chops Jonathan ordered were melt in your mouth tender, unlike our experience in Haifa, which I''ll cover in the 5th and last installment in this series. The fish, grilled, though I suspect it was fried, was good, but as you know I am partial to the fish at Idi Seafood I have written about here. What I wish we would have explored are the ethnic Arab dishes and some more of the seafood. I am partial to the techniques and artistry going into ethnic dishes like El babor's lamb neck (I think lamb. I can't find their website to verify) stuffed with wheat, but I am yet to explore the wide realm of the Palestinian kitchen. 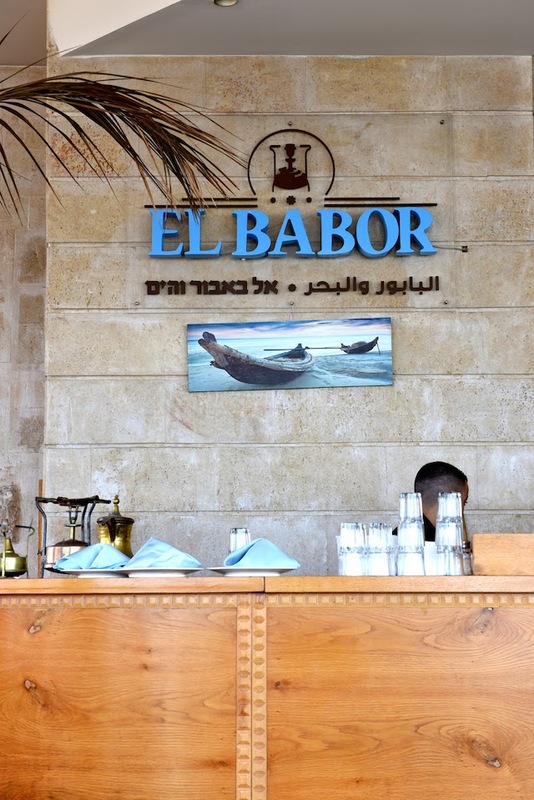 I haven't been to El Babor's other locations, but the newest in Akko just opened in 2013. 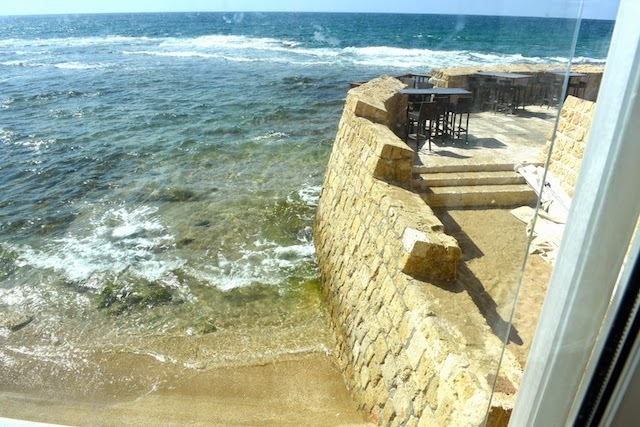 It's built right on the ancient wall and into the sea with the waves slashing into the large picture windows. We saw a couple young fellows wading in the waves fishing. The service wasn't warm and fuzzy but courteous. We very much enjoyed our opening act in this ancient walled city declared by UNESCO as a world heritage site. 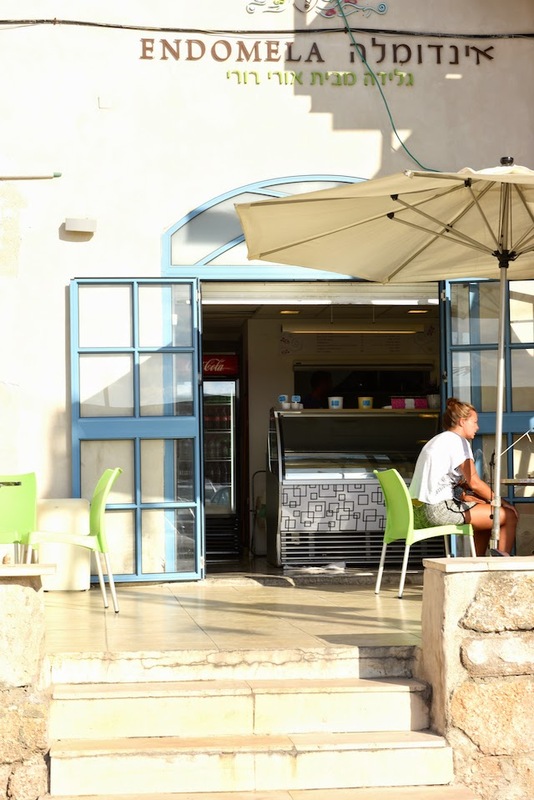 I read in Israeli media recently there was a controversy with health inspection of one of El Babor's other locations, but I hadn't witnessed any evidence or a hint of a use of less than spectacular ingredients in their location in Akko. 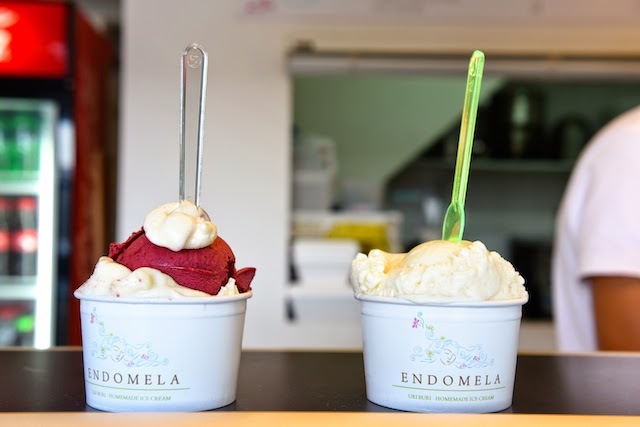 While we didn't visit Uri Buri, an old fish restaurant most often associated with the culinary scene in Akko, for dessert we swung by Uri's newest establishment, an artisanal ice cream shop called EnDoMeLa (nothing like her). EnDoMeLa is a short walk from El Babor, right down the promenade, not far from Uri Buri. I had cardamon ice. I can never go wrong with cardamon and here we hit the jackpot with the creamy texture and perfectly sweetened but not overly so scoop. Jonathan had cardamon and some intensely flavored tangy berry sorbet which was equally excellent. Speaking of Uri's establishments, I wasn't abashed knocking on his super posh The Efendi boutique hotel's unassuming, almost secretive door. 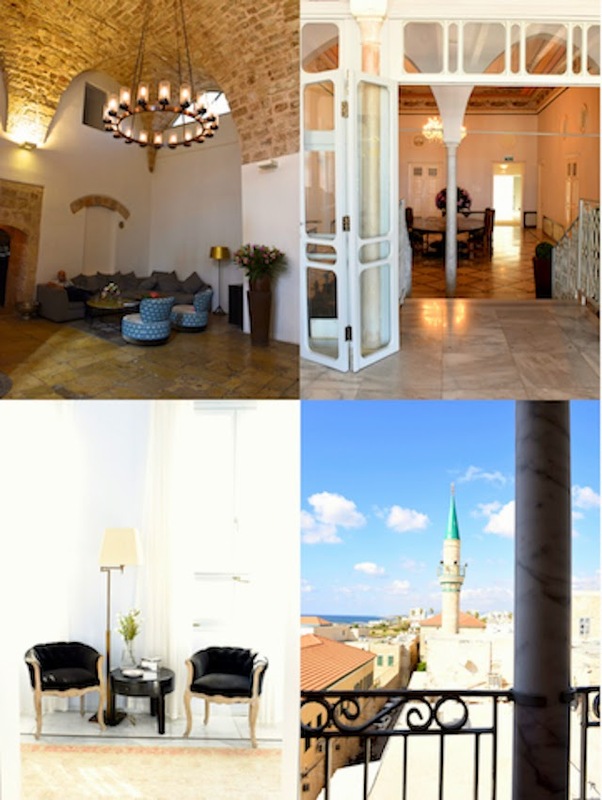 We were lucky to be offered a tour of the premises by the gracious hotel manager, offering tidbits of history of the place and a tale of its renovation. 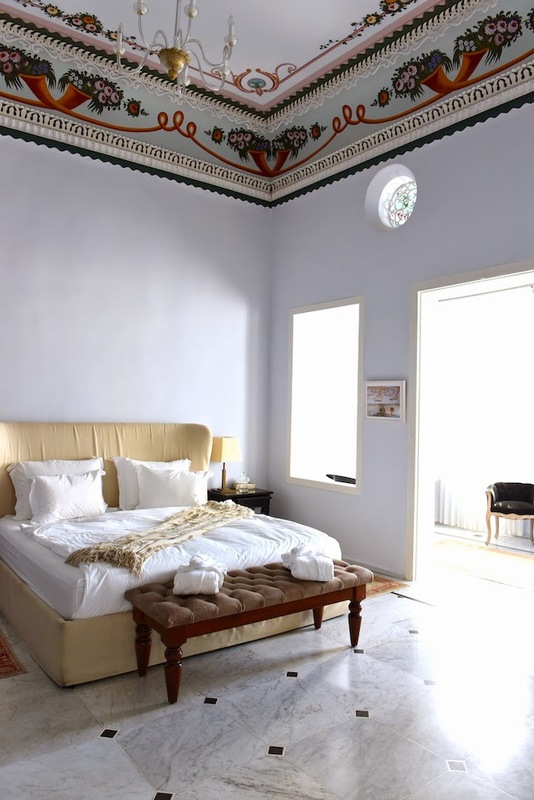 It's a breathtaking, tranquil property afforded by only a few. It was amazing to get a glimpse and be able to photograph. It really lives up to its hype. There are so many snapshots to share here but the post would be super long. The red church gables against the blue sky with scattered powdery clouds I shared here. The local Arab kids and young adults having fun, leaping from the ancient wall diving into the Mediterranean and never tiring from free falling into the sea. The blue Honda with the Jordanian license plate. The bride and groom we encountered all decked out being photographed on the promenade and the lighthouse on the ancient, historic walls! Akko merits another day-trip. We hadn't even visited the Shuk (market) there yet. Hopefully next time when we fly to Israel. What a beautiful experience and stunning photos! I LOVE your travel posts - and this trip sounds amazing. Gorgeous photos - I can totally see why you wanted to explore some more! 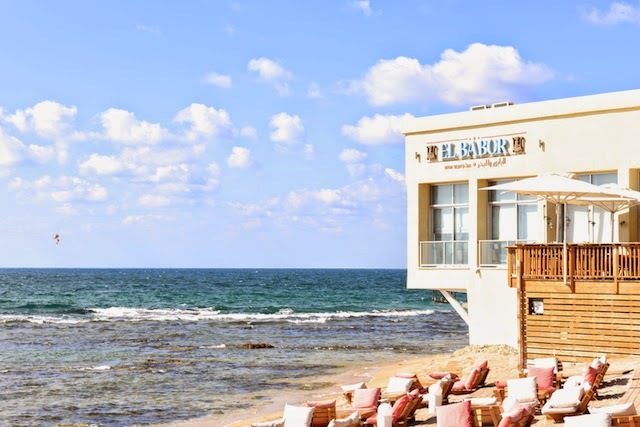 Is the Akko El Babor connected to the one in Umm Al Fahm? The latter is one of the best restaurants I've ever dined at, anywhere, ever. Yes, same owners. 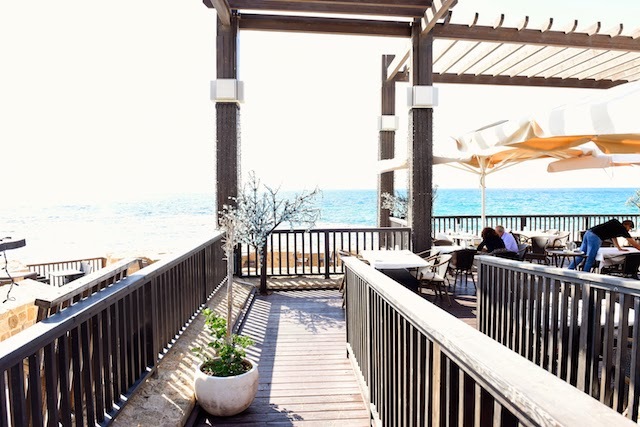 I haven't dined at the location in Umm Al Fahm, but if the same as my experience in Akko, I agree must be excellent! What a beautiful spot, Shulie! Israel is on my travel bucket list, and you've made it even more enticing. It sounds as though you had a wonderful meal! :) @Dara! Definitely touch base with me if and when you go. Haha thank you! Yep. cardamon! Wow. Such beautiful photos and an amazing opportunity for travel. Israel looks gorgeous! So incredibly beautiful! The food looks and sounds really great (that flatbread - wow), and that hotel is just stunning. I'd love to travel and explore Israel. Thanks Heather. You reminded me that I forgot to mention the flatbread is baked fresh at their clay oven (I think). It's visible to diners which is cool! Oh. Oh. Oh. I can't stand it. Too many gorgeous places in one post. It's a good thing you've divided them up. Wow! Everything look so beautiful and bright. I want to travel so bad!